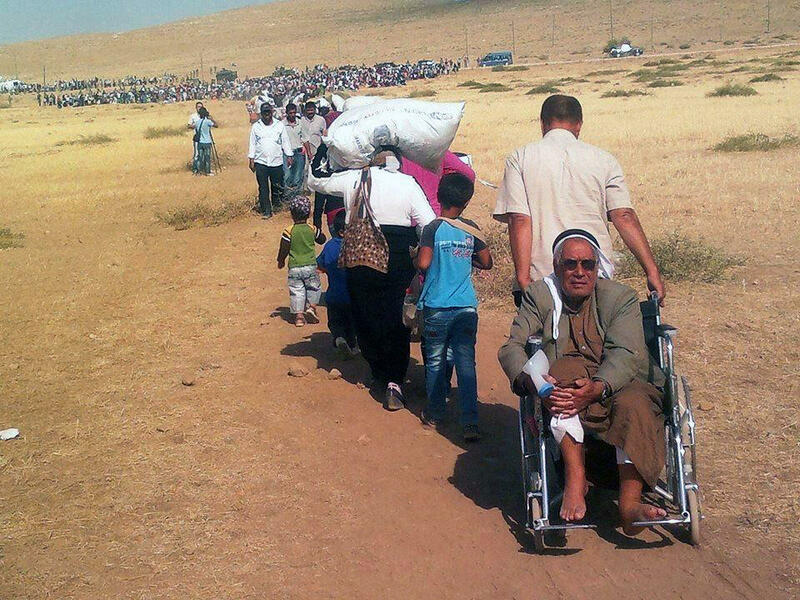 People moving from Syria into Turkey in September 2014. If there is an influx of Syrians, many could end up resettling in the Detroit area, which has one of the largest Arab communities outside the Arab world. Local refugee advocates say they're equipped, but already feeling frustrated. For most Americans, the images of desperate refugees — mostly Syrian — crowding barricades, packing trains and even drowning in attempts to reach the European Union came as a heartbreaking wake-up call. But it came as no surprise at all to people who work with refugees. In fact, they've been predicting just this kind of thing for a while now. "Naturally, when there are these rebellions and these wars, good people have to go somewhere. And they run. They flee. They can't stay," says Deborah Drennan, executive director of Detroit's Freedom House. Her organization is responsible for serving asylum seekers already in the U.S. In addition to neighboring countries and now, Europe — to which millions of Syrians have already fled — the U.S. is considered a logical destination for refugees. In fact, decades of conflict in the Middle East have driven waves of migration here, particularly to the Detroit area. As a result, refugee "resettlement" agencies in the state say they're ready. "We've had some years now to smooth the process and be ready for new populations, such as the Syrian refugees," Jeralda Hattar, director of immigration and refugee services at Catholic Charities of Southeast Michigan, says. Most recently, they've resettled a lot of Iraqis in metro Detroit. Hattar thinks this could help some Syrian refugees feel more at home. "The good thing is that it is a population that speaks the same language as the Iraqi community, so they speak Arabic. Culturally there are a lot of similarities, obviously," Hattar says. But Hattar cautions that metro Detroit isn't necessarily the easiest place for refugees. It's sprawling, public transportation is unreliable and housing can be surprisingly inaccessible. Hattar says refugee agencies, and more informal networks in the Arab-American community, can fill that gap to some extent. So far, she's resettled just 16 Syrian families. Another one is arriving soon. "It's a couple and 2-year-old son. I have no idea what they've experienced," Hattar says. 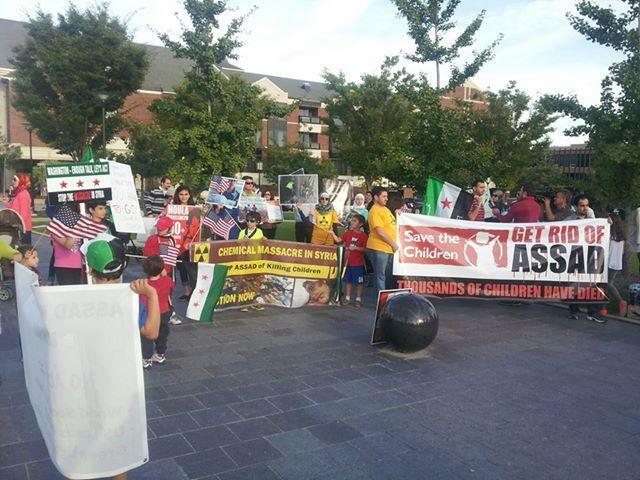 Since the Sept. 11, 2001, attacks, the U.S. has gotten stingier about granting asylum. People fleeing the Middle East also have to go through additional layers of security to make sure they're not linked to terror groups. Hattar says there simply aren't enough personnel overseas willing or able to do that kind of screening. Rasha Basha has dealt with that process firsthand. She's from Syria but has lived in Michigan for many years. While Basha's sister was visiting the U.S., a bombing forced her two teenage sons to flee Syria. Basha says they ended up in Turkey and were stuck there for several years as American officials turned them away multiple times. "It was very, very difficult at first. I mean, we tried three times to get them to apply for a visitor's visa to get them over here. And they were rejected," Basha says. The family was finally reunited last month after her sister was granted asylum in the U.S.
Basha says they are the rare lucky ones. Despite the recent announcement to significantly increase the number of migrants the U.S. accepts over the next two years, it has accepted fewer than 2,000 Syrian refugees so far. Basha says this country can and should do better. She points to the more generous response after the U.S. pulled military forces out of Vietnam. Refugee advocates admit that those were very different political and national security environments. They also say that simply accepting more refugees won't just make this crisis go away. Former President Jimmy Carter told a Grand Rapids audience Monday that he supports U.S. military air strikes against Islamic extremists in Iraq, though he’s less supportive of similar air strikes in Syria. The U.S. launched air strikes against ISIS in Syria last night. This follows a series of air strikes against military targets in northern Iraq.